PRINCETON, N.J. - July 7, 2017 - PRLog -- The Inside Baseball Coaches Clinic January 11 to 13, 2018 will feature presentations by the nation's top coaches including Rick Vanderhook of Cal State Fullerton as well as Michigan, Long Beach State, Virginia, Vanderbilt, and many more. Industry experts from Baseball America have called our coaches "some of the brightest minds in the game today." We are featuring 15 renowned coaches who will be presenting over 60 powerful and insightful talks covering in-game coaching, pitching, hitting, fielding, speed, arm care, functional strength, mental edge, and much more. This 3-day event will be held at the Crowne Plaza Princeton in Plainsboro, New Jersey. Registration is now open to high school coaches, assistant coaches, baseball players, as well as students under age 18. We also are offering exclusive Exhibitor and Sponsorship opportunities. 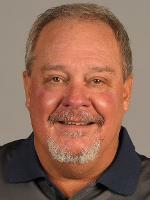 Rick Vanderhook has been the head coach of the Titans since June 24, 2011. Before that, Vanderhook worked as an assistant coach at Cal State Fullerton from 1985-1988, at Cal State Northridge Matadors from 1989-1990, and again at Cal State Fullerton from 1991-2007. From 2009-2011, he worked for the UCLA Bruins. Vanderhook was a player on Fullerton's 1984 national championship team once he transferred from Cerritos College. After two seasons coaching Cal State Fullerton's baseball program, Rick was offered a five-year contract extension through the 2018 season. In 2016, Vanderhook earned his fourth Big West Conference Coach of the Year award in five seasons and in 2015, Vanderhook was named the American Baseball Coaches Association West Region Coach of the Year. He led the Titans to a 36-23 record during the season and a Big West Conference title, the 21st in the program's history and his fourth in five years. Fullerton advanced to the NCAA Postseason for the 25th straight season and recorded a 30-win season for the 42nd straight year. In 2013, Vanderhook led the Titans to a 51-10 record, which was the second best winning percentage (.836) in the program's history. During Vanderhook's time at Fullerton, 25 Titans have been drafted in MLB First-Year Player Draft and then seven more were drafted in 2016. He also coached 18 All-Americans and 10 Big West Conference Player of the Year honorees. Learn firsthand baseball insights from legendary Rick Vanderhook. Registration now open at http://www.insidebaseballcoachesclinic.com/events/2018-in... (http://www.insidebaseballcoachesclinic.com/events/2018-in...). For more information, call (973) 921.0400 today!